Mari Frank is an attorney, Certified Information Privacy Professional (CIPP) and the creator of The Identity Theft Survival Kit. She is co-author of Privacy Piracy (with Beth Givens), and her two most recent books published by Porpoise Press are From Victim to Victor: A Step by Step Guide for Ending the Nightmare of Identity Theft (2nd Edition, with CD) and Safeguard Your Identity: Protect yourself with a Personal Privacy Audit. Mari is also the host of “Privacy Piracy,” a weekly one-hour radio show at KUCI 88.9 FM at the University of California, which deals with various privacy-related issues. The show received a Privacy Innovation Award in 2005 by the International Association of Privacy Professionals. Ms. Frank has testified many times on privacy and identity theft issues in the California legislature and in the US Congress. In May 1999, she was summoned to the White House to a press conference with President Clinton to speak on Consumer Privacy. Her speech was broadcast on C-SPAN TV. This year, Mari’s 90 minute PBS Television special, “Identity Theft: Protecting Yourself in the Information Age,” aired nationwide. Two of her books and the DVD of the show were featured gifts for viewers who pledged support for local PBS stations. Mari consults and trains corporations and governmental agencies. She is a professional speaker on an assortment of privacy, identity theft and other legal issues. She also helps victims and consumers, provides expert testimony, and serves on the ID Theft Task Force of the LA County District Attorney, and California’s DMV Task Force on privacy. 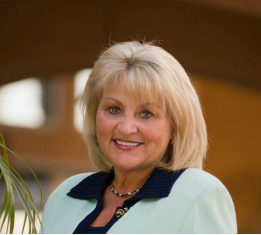 She’s an Orange County Sheriff Reserve on the High Tech Crime Unit, an Advisory Board Member of the Identity Theft Resource Center and the Privacy Rights Clearinghouse. Mari is also a Privacy Research Fellow with the Ponemon Institute, and a trainer for the National Office of Victims of Crimes. She’s serving as a member of the appointed Advisory Board of the State of California’s Office of Privacy Protection. Mari is a certified trainer for the State Bar of California, a law professor, and currently teaches Conflict Management at the University of California, Irvine. Mari has appeared on dozens of national TV programs including Dateline, 48 Hours, The O’Reilly Factor, Investigative Reports, NBC and ABC Nightly News, CNN, Geraldo, CNBC, and Montel, and has been interviewed on more than 300 radio shows. She has been featured numerous times in major newspapers and magazines including US News and World Report, Your Money, Money, Parade, New York Times, Wall St. Journal, USA Today, Chicago Tribune, LA Times, and more. Power Talks Speakers Bureau provides keynote speakers, panel experts, and workshop leaders for your meetings, conferences, conventions, industry seminars and special events. Please contact us if you need more information on a particular speaker, including fees and availability, or if you would like help selecting the perfect speaker for your specific needs.